We are quite sure that you might not have forgotten the 2010 global recession? With fleeting time digital advertisement has shown a steep growth, and the proof is the latest forecast done by GroupM. GroupM is a renowned media investment group all across the world and its projections are of well-thought-out global magnitude. 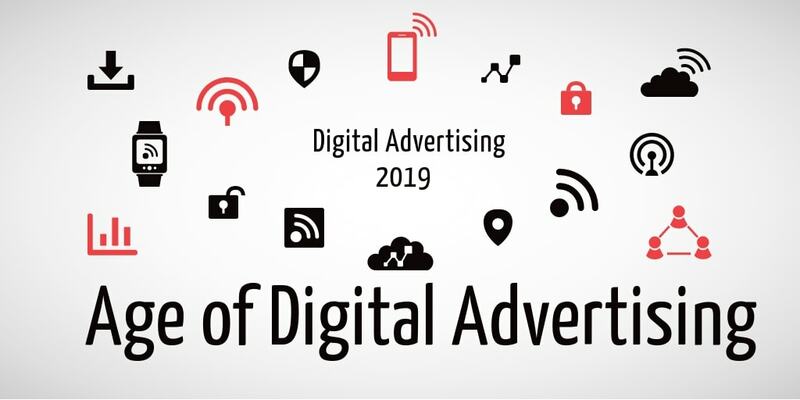 In its recent survey, they have predicted the growing digital advertising to be 95% in this year that is 2018 and will rise to 99% in the year 2019. So, in simple words, we can understand that the two internet giants that are Google and Facebook are going to stay still and will dominate the digital regime. The e-commerce sectors of India tend to show a high pace rate in the year 2019, and the outcome will be because of the online shoppers. Thus, here the advertisement cost will mount. In addition to that, the online shopper will show a steep rise from 14% to 50% in the upcoming years. India that is now considered as the top contributor along with the United States, China, and the Philippines will have its retail sector just the double of the size in the year 2019. Plus the countries like China will show 6.8% of investment growth and the United States will show 6.6% in the year 2019. As per the advertisement investment, the United Kingdom will mark the ball with 6.4%. The digital advertisement arrangement will act as a pioneer with an estimate of 10% growth in the next year that is 2019. The unsurpassed way to prolong in the digital market is to stand on the edge of the technology with intelligence. As well as there cannot be any favoritism between the business of large-scale and a petty media owner.